I remember a fellow blogger posted a survey on Facebook asking moms on what special gift they want to receive. And it could be anything like a vacation or a spa treatment. And funnily enough, she added: OTHER THAN A NAP. This goes to show how naps are always up there on a mom's wish list. (Single ladies, never underestimate naps. You will miss them after you give birth!) My answer was to have an overnight stay in a luxurious hotel... all to myself.... TO SLEEP! I have not had a decent nap for 4 years and counting. Since I became a mom, a 2 minute nap already feels like 30 minutes. And somehow, even in such a short time frame, I suddenly feel refreshed. And the moment I jerk up from my nap I always think I can't believe I fell asleep! What happened? Where am I? Who am I? Being a mom is a handful. Currently, I only have 2 people I look out for. A 4 year old girl, and my husband (hehehe). But it already feels like a huge load. And so if you think about it, I need more naps than ever. 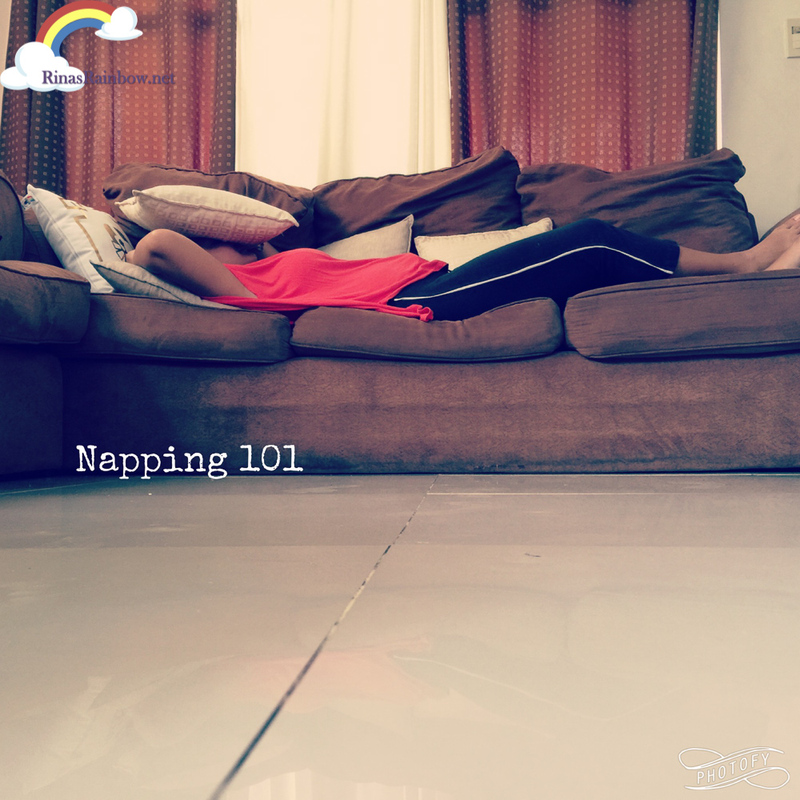 Because napping is more than resting. It has physical and mental benefits that every person needs to get through the day. Or to get through life. I will surely be needing these tips after I give birth this end of April. Kinder Dramas to Moving-Up Day! The Launch of FOOD CREW PH!